Many Devices Utilize New Charging and Data Transfer USB-C Cables by Ira Wilsker – SouthEastern Michigan Computer Organization, Inc. Recent purchasers of smart devices, including many new phones, laptops, Apple devices, and other new high tech electronics probably noticed that the USB cable used to charge the device and transfer data between devices is the same on the “big” end, but slightly different on the “small” end. 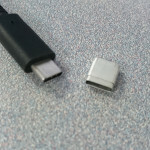 The traditional “Micro-B” (the “small”) end of the USB cable that has been widely used for several years to connect chargers and data devices to billions of smart devices is a somewhat asymmetric shape resembling a flattened trapezoid. Because of its shape, the common micro USB cable can only be inserted in one direction, which countless users have found as an inconvenience, but engineers intentionally designed so as to assure that the tiny conductors in the plug could only mate with appropriate matching connectors within the device. Likewise, millions of Apple device users have been using the popular, but somewhat fragile “Lightening” connector connected to an otherwise somewhat identical USB cable to charge their devices and to connect to external devices. For the past several months a newly standardized connector of about the same dimensions as the older Micro-B plug, and with the moniker “USB-C” has started to appear on recently assembled smart devices produced by several of the major manufacturers, including LG, Samsung, Apple, Microsoft, HP, Nexus (the Google brand made by LG, Huawei, and others), OnePlus, and other cutting edge brands. This new USB-C connector is more symmetric, in a flattened rectangular shape with rounded corners, is reversible, and can be inserted with either wide side up, easing the ability to perform the simple task of connecting the charging cable or transferring data. In terms of data transfer speed, the new USB-C cables, with its 24 connecting pins, can easily transfer data with speeds somewhat similar to the USB 3.0 standard, which is a potential of 4 GB per second throughput, and possibly even transfer at the screaming USB 3.1 speed of 10 GB per second, but many of the currently available devices with the USB-C connector can only receive data at something resembling effective USB 2.0 transfer speeds of a respectable 280 MB per second. In addition to being a reversible plug and offering generally faster data connection speeds, the USB-C standard also allows the USB cable to transfer more charging capacity than most earlier USB 2.0 cables, with the USB-C cable and connector easily able to handle from 1.5 amps to 3 amps at 5 volts, allowing for the faster charging of connected devices as well as providing more power to other compatible USB powered devices, such as external hard drives. For those USB powered devices that demand even greater power, the new USB-C cable can handle up to 20 amps at 5 volts, for 100 watts of power. Computer notebook designers are considering replacing the existing power point on newly manufactured laptops with a USB-C port, as newly made laptops now only require about 60 watts of power, and some USB-C cables can handle up to 100 watts. While in technical competition with the unusually shaped USB 3.0 and USB 3.1 cable and plugs, USB-C has recently had greater industry acceptance than its competing standards apparently because of its greater capabilities than the more traditional USB cables and connectors. 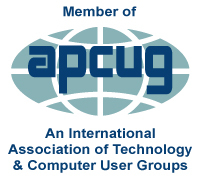 While the USB-C standard was finally approved and adopted during the summer of 2015, what has happened with the early adoption of other technical standards, has happened to USB-C; that is some of the hardware with USB-C ports and many of the newly manufactured USB-C cables fail to meet the new standards, which can create sometimes serious incompatibility problems. Following complaints from users of new model Google Chromebooks (such as the Pixel 2 model) and newer model Google Nexus phones (Nexus 5X and 6P) that require USB-C cables, a well respected engineer working for Google, Benson Leung, intentionally purchased a variety of cables advertised as USB-C compatible on Amazon, and found that many of them were very problematic. Posted on his Google+ blog, Benson Leung found that, “You may not just get weird behavior from your devices with these bad cables… What some these vendors are doing is downright dangerous.” As quoted in Fortune Magazine (fortune.com/2015/11/05/usbc-google-amazon-reviews), Benson Leung was reported to have said, “Some cables with a type C connector on one end and a legacy connector on the other end do not connect the correct resistor to pin A5 of the type C connector, causing a device connected to the cable to incorrectly determine the amount of power it is permitted to draw from the cable. Cables with this issue may not work properly with certain products, including Apple and Google products, and may even damage power sources such as chargers, hubs, or PC USB ports.” Fortune goes on to say, “Leung has taken to calling out bad cable vendors in Amazon reviews under the username LaughingMan. So far, he’s reviewed 10 different cords and adapters and has found seven of them severely lacking. The biggest issue he’s found is that the cords won’t charge the Chromebook Pixel properly. Although some of the deficient cables will transfer data and power, they do it incorrectly, which could end up damaging your device in the long run.” Some of these deficient USB-C cables sold for as little as $8.99 on Amazon. The Fortune article mentioned that Benson Leung did find a few of the third party made USB-C cables that he purchased on Amazon did work as well as the more expensive name brand cables made by Apple, Google for their own devices. Leung tested a $19 cable made by iOrange-E (currently priced at $12.99 on Amazon), and found that it did indeed work well on Google devices, for which he gave it a 5-Star rating on Amazon. Leung also found that the $20 USB-C cable made by Belkin was “good as the ones that Apple and Google provide with and sell on their stores as accessories” and also awarded it five stars. Some smart phone makers have also fallen into the trap of providing incompatible and potentially damaging USB-C cables and chargers for use with their newly produced phones. One such example is the recently released OnePlus branded charger and USB-C cable sold on the OnePlus factory website; the chargers and USB-C cables were manufactured by third party suppliers. Because these chargers and cables allegedly do not meet the USB-C standard, and are similar to the problematic USB-C cables discovered on Amazon by Benson Leung, OnePlus has offered anyone who purchased these questionable chargers and USB-C cables from their website a full refund. According to OnePlus, only the “standalone” chargers and USB-C cables purchased on their website will be refunded, but the USB-C cables and chargers bundled with new phones, such as the OnePlus 2, are not eligible for that refund. Many of the media pundits are referring to USB-C as the primary “go to” cable and connector of the future. It is fast, can carry more electrical power, and can drive a variety of other devices. One cable manufacturer, Monoprice, is already offering connectors and converters for USB-C that can take a signal directly from the smart device, and output the data to HDMI (HD TV video input), gigabit Ethernet (high speed networked data), and other devices. I did a search on Amazon and other websites for USB-C cables, carefully reading the published reviews and ratings (which I know are not always accurate and truthful), finding that many of the listings have changed their wording since Leung and Fortune did their expose’ on substandard USB-C cables. Some of those which were problematic now only state that they are capable of USB 2.0 data speeds, but nothing about the alleged electrical deficiencies. Some, such as the $20 Belkin cable cited positively by Leung, now display a statement that they are certified as compatible by USB-IF, the organization that finalized the USB-C standard and conducts compliance testing. If considering purchasing a USB-C cable, be sure to read the reviews (acknowledging their sometimes unreliability), and check to see if it is certified by the USB-IF. There is no need to waste money and possibly damage your devices by buying inferior cables. For users of some Nexus devices, specifically the Nexus 5X and Nexus 6P phones, there is a free app available in the Google Play Store called CheckR that can test USB-C cables for proper functionality; at present this app will not yet work on other devices, but a version for the Chromebook Pixel will be available in the future. Also check to see if the transfer speed of the cable is appropriate for your devices, as most are now labeled as compatible with the USB 2.0 480 MB per second transfer rate, but a few that are much more expensive are listed as USB 3.1 compatible with transfer speeds up to 10 GB per second. If your device is listed as USB 2.0, then there is no need to waste your money on a cable with a greater speed potential than that which can be handled by your device.